Ebony Noelle Golden is an artist and cultural strategist who unflinchingly believes in the power of creativity to inspire, instigate, and incite acts of collective and self-determined emancipation. As an artist-scholar, Golden stages site-specific rituals + live art productions that profoundly explore the complexities of freedom in the time of now. 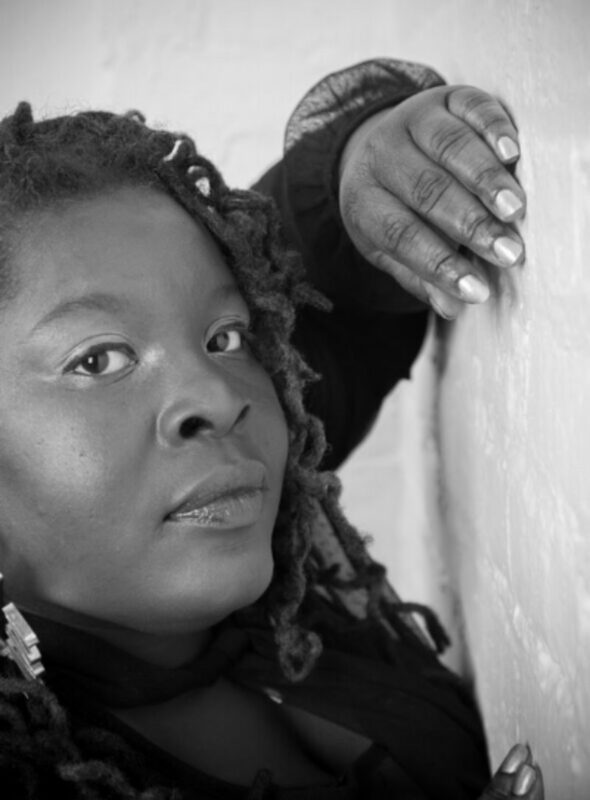 Her creative work has been presented at Judson Memorial Church, National Black Theatre, Hayti Heritage Center, DC Arts Center, and the Bronx Academy of Art and Dance among others. Her curatorial projects have been presented at Brooklyn Museum, New York University, Alternate Roots, and The Brecht Forum among others. A native of Houston, Texas, Golden resides in the Bronx. She is currently artistic director of the Body Ecology Womanist Performance Project, Artist-in-Residence at the Hemispheric Institute of Performance and Politics, and recently served as an Activist-in-Residence at the University of Oklahoma. She is developing 125th and Freedom, a performance art installation of ten choreopoetic rituals along 125th Street exploring home, migration, displacement, and the eradication of black space due to gentrification. She hold degrees in poetry and performance studies from Texas A&M University, American, University, and New York University, respectively.